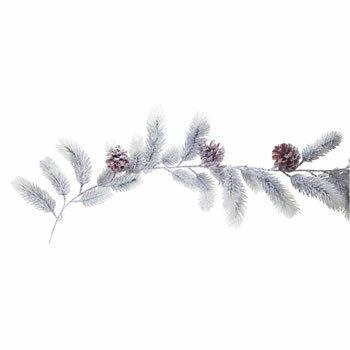 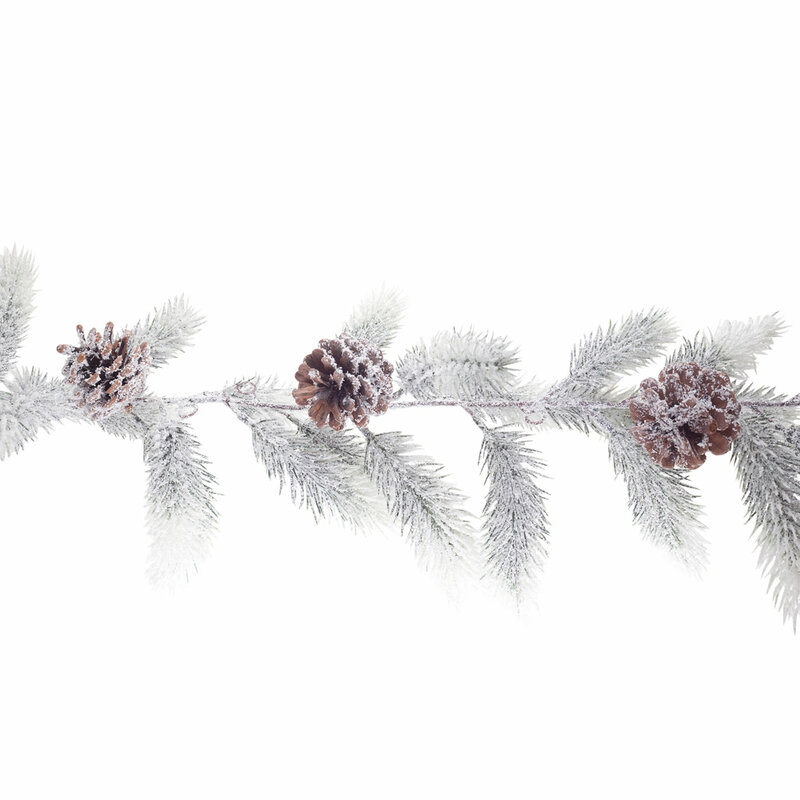 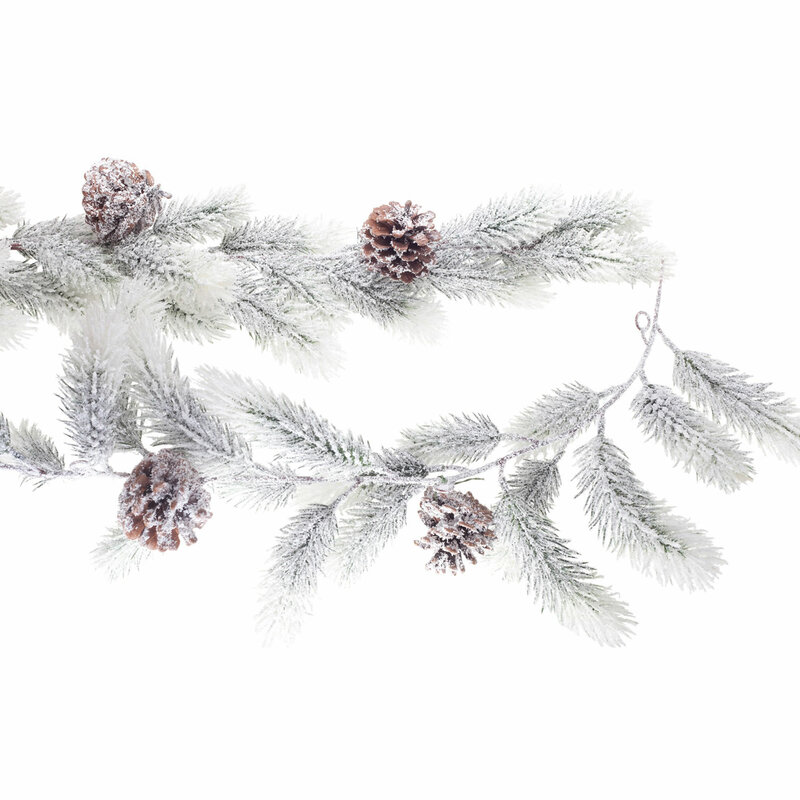 A realistic artificial fir garland complete with real pine cones, made from plastic with a heavy snow effect coating, perfect for a Winter Wonderland theme. Can be used indoors or outside for a classic Christmas idea, keep it simple or wrap it with fairy lights, add some baubles and more to make an eye-catching mantelpiece feature. 1.8m long x 12cm wide.